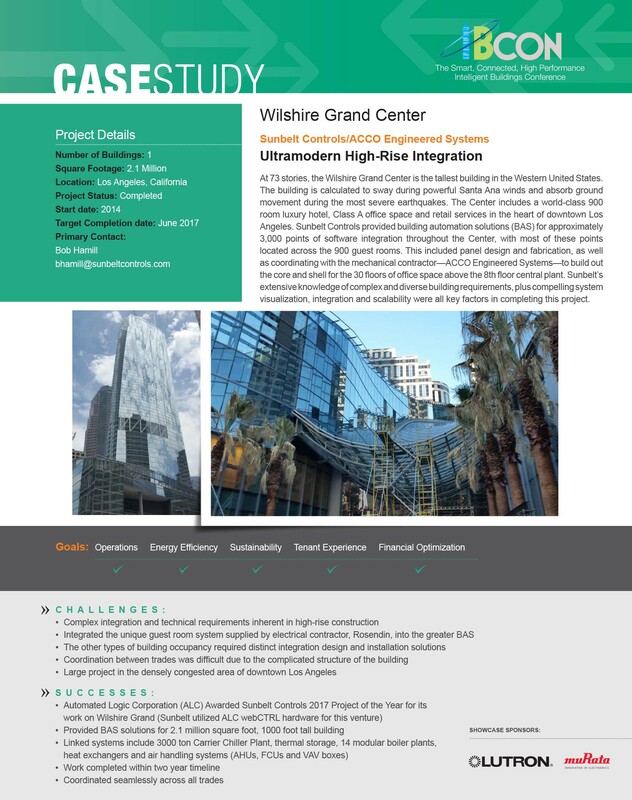 We are pleased to announce that IBcon’s 2017 Digie Award for the Most Intelligent, Mixed-Use Project of the Year has been awarded to Sunbelt Controls for our work on the Wilshire Grand Center. 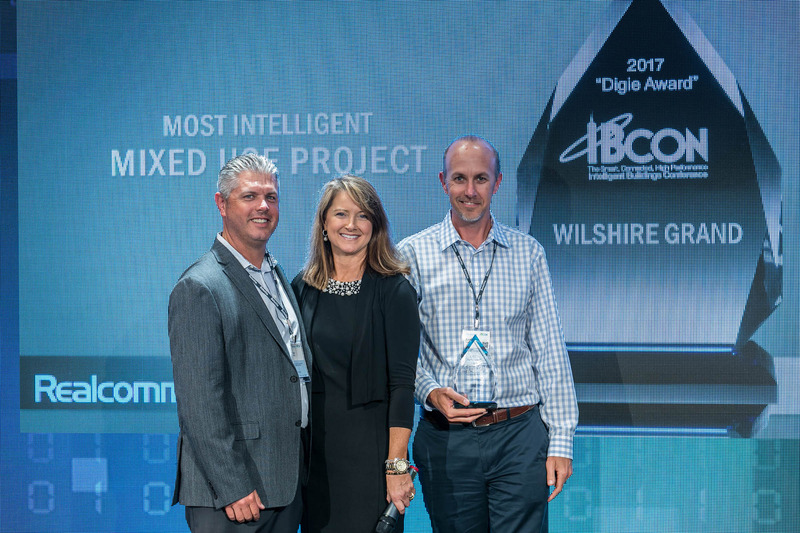 This award recognizes the individuals, companies, projects, and solutions that demonstrate the most innovative use of technology and automation in commercial and corporate real estate. We are delighted to be recognized as part of this impressive project and honored to collect this award!